Bournemouth is an incredible coastal city that combines stunning sights, with amazing activities sure to provide a thrilling vacation for you and your family. With seven miles of golden beach to explore, and countless hours of sunshine to enjoy on your summer days, it might be hard for you to decide what you should do first on your Bournemouth vacation. That’s why we’ve put together this quick list of suggestions. Forget the worries that wait for you back home and head to the beach in Bournemouth. The kids can enjoy a range of activities, while you sunbathe, or you can all build memories together by learning how to surf or body-board. What better time to enjoy the beauty, sights, and smells of the award-winning Bournemouth gardens, then when the sun is shining? Head to the Central and Upper gardens and grab a guided walk tour to help you spot everything from the wildlife, to the exotic plants. If the weather is bright and you have the urge to get down and dance the night away, then why not make the day last a little longer with an evening in one of Bournemouth’s numerous pubs and clubs? If you’re not feeling the local nightlife, there are plenty of reasons to stay out late at a theatre, show, or incredible event. The Russel-Cotes Museum and Art Gallery is located just atop the Bournemouth cliffs. Here, you can see a detailed glass dome brimming with stars, comets, and wildlife. If you’re looking for something a little more contemporary, then you can always head over to the Westover Gallery, or check out the Bournemouth Aviation museum. There are countless of activities available for the adrenaline junkies amongst you. Whether you feel like learning how to shoot a bow and arrow, or you’re interested in seeing the see in style from a Pier zipwire, the possibilities are endless. Just make sure that you’re feeling confident before you go. We recommend a couple of drinks at a local bar for some extra courage. If you’re in Bournemouth between the 15th and 24th of June, why not pop into the Bournemouth Food & Drink Festival to enjoy some mouthwatering freshly prepared food and drink. There will be cookery displays, cocktail making classes, a Cook Off challenge, kids kitchen and more. 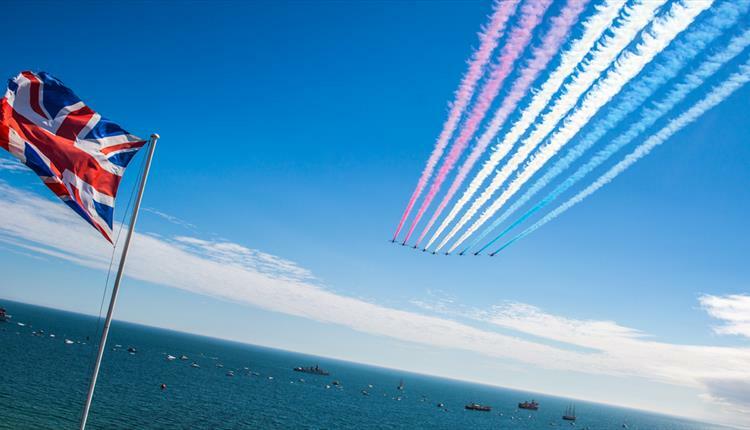 The UK’s biggest air festival might be more up your street and it’s on from 30th August to 2nd September. 4 whole days of action and entertainment on both land, sea and in the air. And what’s even better is that it’s totally free!